The holidays are right around the corner, and while some people have already completed their Christmas shopping, others are still deciding on what to get their loved ones. If your loved one owns a Jaguar F-Type, then our Jaguar dealer is here to help. We understand that this ride is special to begin with, but there are a few extra accessories you can get as a Christmas gift that enhances each drive. 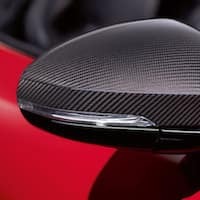 Carbon fiber: This extra design gives drivers an ultimate performance upgrade. From its looks to its feel, the Carbon Fiber design makes each car stand out even more than it already does. Luxury carpet: The F-Type is as luxurious as they come, and this gift can make it even more luxurious. With luxury carpets, this ride can impress others inside and out. Sports steering wheel: Give your loved ones a flat-bottom, leather steering wheel which provides performance-inspiring control. Jaguar performance calipers: Make their Jaguar pop with the performance inspired red calipers. Time for a small makeover! There are many different gifts you can give this Christmas. 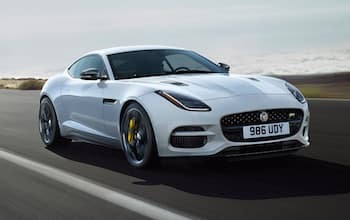 Whether they are interior accessories or exterior accessories, Jaguar F-Type accessories are great gifts that will bring a smile to the faces of those you love. Be sure to contact Jaguar Little Rock to learn more about how we can help you during your Christmas shopping this holiday season.